Rich Hispanic culture, Latin rhythms and authentic food options will fill the streets of Historic Capitol Hill on Oct. 1 as the Fiestas de las Americas celebrates the multicultural heritage of Oklahoma City, organizers said. 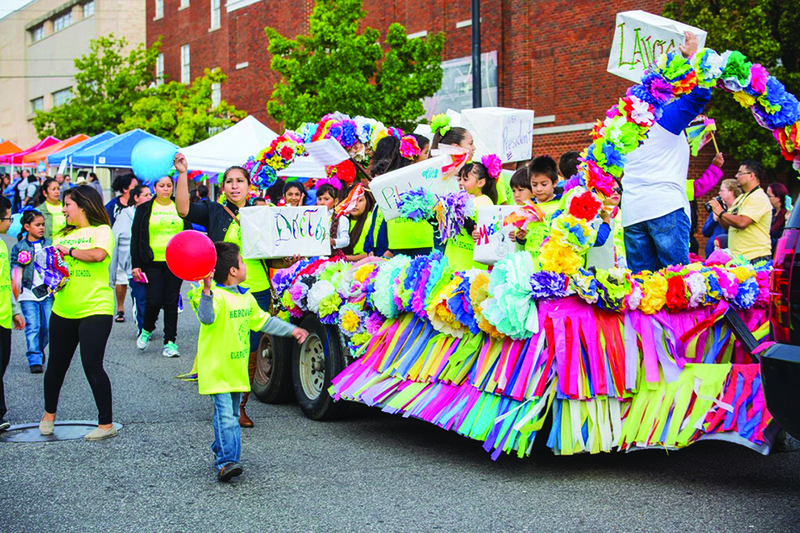 Fiestas de las Americas, an annual community event hosted by Calle Dos Cinco will take place in south Oklahoma City on SW 25th street between Hudson and Robinson, said Donna Cervantes, Calle Dos Cinco coordinator. “You will see Guatemala, México, Colombia, El Salvador and many more countries represented during the festival,” she said. The all-day event kicks off with a 5K run at 7 a.m., followed by the most anticipated part of the festival, the Parade of the Americas beginning at 9 a.m. Tango Public Relations operations vice president Brenda Hernandez said Historic Capitol Hill offers something very unique to Oklahoma City. Brenda Hernandez said the districts around town offer unique festivals showcasing their area. “You hear about the Plaza District, Film Row and all these wonderful things that are happening but what’s unique about Historic Capitol Hill is the cultural diversity that we have, particularly our Hispanic culture,” she said. Cervantes said elementary schools from the Oklahoma City Public Schools district and the area’s surrounding colleges and universities show their school spirit and showcase their cultural roots on the floats they design for the festival’s parade. During the parade, floats are judged and one is named the best float of the parade. Oklahoma City Community College’s float won first place in the contest last year. Jorge Hernandez, Tango Public Relations president invites faculty, staff and students from OCCC to come and enjoy a day of celebration. College students also make up a great number of the volunteers, Brenda Hernandez said. Cervantes said students wishing to volunteer can still sign up by visiting the event’s webpage. Though admission to enter the event is free, food vendors will be selling authentic Hispanic dishes and flavors that can’t be found at any other festival in town, Brenda Hernandez said. Consistent growth in participation and support from the community continues year after year, Cervantes said. She said that in 2015 about 12,000 people attended the event. For 2016, organizers have added a Lowrider cars in the parade, an artist market, and the first ever royal coronation of Fiestas de las Americas and local bands such as La Onda Kaliente, Orquesta D’Calle, and folkloric dancers will take the stage throughout the day. “This event is not only for the south OKC community but for anyone wanting to immerse themselves in the Hispanic culture in OKC,” she said. Additionally, the OKC Energy Football Club will be in attendance with an interactive kids zone and businesses and community organizations will be on hand to talk about their services. For more information about the event or to volunteer visit Calle Dos Cinco’s webpage http://historiccapitolhill.com/fiestas-de-las-americas  or call 405-632-0133.